The CFTU has just recently been "advised" and provided a copy of a memo from SAFEA to the Minister of Education (dated January 3rd, 2014) suggesting that all schools be directed to reject foreign teacher applications who present diplomas and degrees from "unaccredited or fake universities and learning institutions or organizations" listed below. The two page memo further "suggests" that the PSB also include this verification procedure when conducting random visa checks at schools throughout China. Clearly the Chinese government is now clamping down on foreign expat teachers who are not qualified to teach and this disclosure was provided as a warning message of what is to come. We were also advised that in 2015 Chinese embassies and visa bureaus will start requiring fingerprinting of all expat employee applicants but no details were provided. 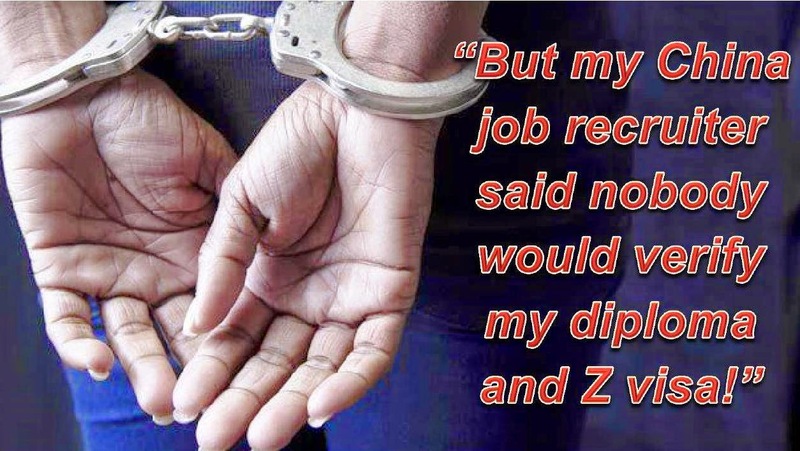 Our concern is that teachers already in China using fake diplomas and degrees may be subject to arrest and deportation with similar 5 year reentry bans given to those caught working without Z visas. * American University of Human Services, Mississippi. Reported closed as of . * Andersonville Theological Seminary (formerly Andersonville Baptist Seminary), Camilla, Georgia ATS website states that it is accredited by Transworld Accrediting Commission, "on the list of Association of Christian Schools International (ACSI) Recognized College Programs", and by the National Accrediting Agency of Private Theological Institutions. None of these organizations are listed as a recognized accreditation agencies in the United States. * Ashwood University, Florida, Pakistan, and possibly Texas; may operate Universidad de las Palmas"
* Bienville University Woodville, Mississippi. Reported closed as of . * California University of Business and Technology no claim of accreditation, only state approval. * California Pacific School of Theology, Glendale, California. (Claims "accreditation" from the Association of Christian Colleges and Theological Schools. but it is not a recognized higher education accreditor in the United States. * Carlingford University, scam run by a prison inmate in Wisconsin; shut down in . The name previously was identified with an address in London, and with the University Degree Program. * Cumbres de Chile University (Universidad Cumbres de Chile), Viña del Mar, Chile. * European Graduate School, Saas-Fee, Switzerland. It is accredited by a school council ("Hochschulrat") in which the Canton of Valais is represented with at least one member. The school is not accredited by the Swiss University Conference, the main regulatory body for universities in Switzerland (in Switzerland, unlike in other European countries, the accreditation system operates on a voluntary basis). * Glenford University in Mississippi. Reported closed as of . * Golden State Baptist College, Santa Clara, California. Part of Independent Baptist Bible College Movement, listed among Wikipedia category Unaccredited Christian colleges and universities. * Holy Trinity College and Seminary, New Port Richey, Florida; seminary’s website notes its choice to remain unaccredited and states, "the degree programs of this college are designed solely for religious vocations." * Hyles-Anderson College and Hyles-Anderson College Seminary, Crown Point, Indiana. Part of Independent Baptist Bible College Movement. Founder asserted that the college remains unaccredited because the government would "take away our freedom." * Indiana Christian University ("Indiana Christian University is approved by the Indiana State Approving Agency for training of veterans and other eligible persons"
* International Bible University, Norwalk, California; Carpinteria, California; Hawaii. Also called "E M International Bible University" or "E.M.I. Bible University." * International Management Centres Association (IMCA or IMC Association), Buckingham, UK. * Lacrosse University Reported closed as of . * Mountain States Baptist College, Montana. Part of Independent Baptist Bible College Movement. * MUST University, California. Not to be confused with Macau University of Science and Technology, Malaysia University of Science and Technology, Mindanao University of Science and Technology (Philippines), Minghsin University of Science and Technology (Taiwan), Misr University for Science & Technology (Egypt), or other schools with similar names that include "University of Science and Technology". * Novus University School of Law (aka Novus University Law School) registered in Marshall Islands, but ran in Palmdale, California by Natalie Handy, spouse of James Kirk. * Oaklands University, United Kingdom. May be "a new version of the University Degree Program." * Oikos University, Oakland, California. Described by the Chronicle of Higher Education, as "a little-known, unaccredited institution housed in a single building in an East Oakland office park." * Saint Martin’s College and Seminary, Milwaukee, Wisconsin. * Sequoia University, Los Angeles and Oklahoma. Closed by court order in . * Thunderwood College, Internet only, an admitted spoof website for an unaccredited college which offers instant "degrees" in a variety of subjects. * Tri-Valley University, Pleasanton, California, raided by United States Immigration and Customs Enforcement (ICE) for allegedly operating as a front for illegal immigration. * Tyndale Theological Seminary, Texas. In , Tyndale Theological Seminary was fined for violating a state law that required institutions to have state approval or accreditation to award degrees or use terms such as "college" or "university" in their names. The fine was appealed, and in August the Texas Supreme Court ruled that Tyndale and other seminaries that offer theological education and award religious degrees can do so without state government approval or accreditation. * University of Central Europe, Pascagoula, Mississippi. Reported closed as of . * University of Northern Virginia Closed by order of the State Council of Higher Education for Virginia. * Western Advanced Central University - also known as WACU or Western Central College, they are associated with Ashford College and claim to be recognized by the ACOHE (Accreditation Council for Online Higher Education). 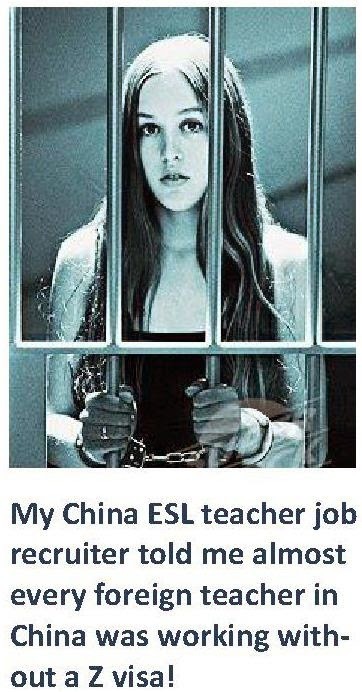 UPDATE: Within 12 hours of sending this alert out to our members we received an email from China Scam Patrol advising us that a crackdown on phony TEFL, TESOL, & CELTA certificates is also part of the crackdown and seven teachers in Beijing were already deported after a single teacher job recruiter was caught selling fake documents. Apparently the authorities went through the recruiters files or phone records to locate the expat teachers working with bogus documentation. 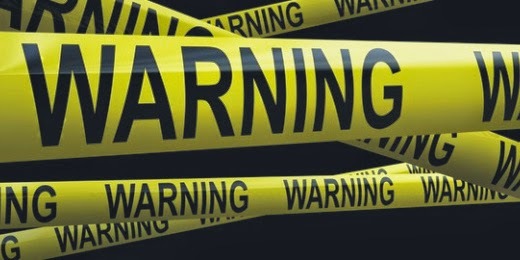 We suggest you avoid recruiters whenever possible - especially one that sells counterfeit certificates and diplomas. Just found your website and have a few questions..
You know that old proverb of the old lady and the snake? I have been using a dodgy agent for the last few years and have even defended them on forums when I see stories about them online that don't match up to my experience. I don't doubt the agent has a history of dodgy dealings, but as someone who is comfortable around 'snakes' I don't have a lot of sympathy for those fools that think you can just poke sticks at a snake. But.. There comes a time when you need to get out of harms way. I'm retiring from teaching in order to start a few non teaching related businesses here. Before that I am going to switch to a visiting family visa and take a few months to relax. Problem is that I have heard a lot from your network of sites that there are a lot of sting operations going on at the moment. My visa is a z and was obtained with all real documents on my part. I'm not so sure about the school I work for's documents as they used the above mentioned snake agent. The agent doesn't get a cut of my pay, this I know for sure, and has been able to transfer my z visa to my current school and renew it for the last four or five years with no problem. The relationship I have with them is good and there has never been any of the craziness I see reported on your site. But (excuse the length)... You have reported that some of the well known agencies have been compromised and are not necessarily safe to visit. I need to get my release letter and when I called they said they would give me one for free. I know that is the law, but that is not how they usually operate and I have seen other people pay for the release letter. Do you think this is a possible indication that they have been compromised by the psb and are trying to bait me? Just be glad you have an homest individual of that school following the law. To be clear, 90% of the schools and universities in China abide by the law and are honorable. Thy do not cheat teachers. Seldom do you ever hear about problems at public schools and universities, and when we do, the teacher is often the source of the problem. It is the other 10% that are problematic, deceitful, and dishonest. Unfortunately this 10% gets so much attention that they often distort the realities of working in China. 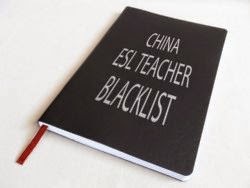 To this end we have compiled both blacklists and white lists and they are free for everyone to use. They were compiled by fellow-teachers who have worked at the particular school for at least six months. They are updated every 90 days. To use them go to http://www.ChinaForeignTeachersUnion.org.